The Day I Broke Up with Lululemon. Denial: No, it can’t be true. This Yogini doesn’t know what she’s talking about. So a couple of days later, when the shock had worn off, I had to see for myself. I marched into my local Lululemon to prove her wrong, or so I thought. Anger: OMG it is true! While walking around looking at the tags, I found “Designed in Canada, made in China.” Made in China! As someone who is trying be socially responsible, I had been doing my best to avoid buying things made in China. The thought of some eight year old child in a sweatshop making my yoga clothes was breaking my heart. Bargaining: Okay, but I have this gift card I was given for my birthday… I’ll just spend that, then I’ll never set foot in here again. It was a gift, after all. I can’t be rude and let it go to waste. Depression: It had taken me forever to find cute, well-made yoga clothes that lasted. I was comfortable in my Lululemon. The store was just down the street. I even got a discount. Was I going to have to settle for ill-fitting yoga pants that don’t last? Was I going to have to wear unitards or learn to sew? 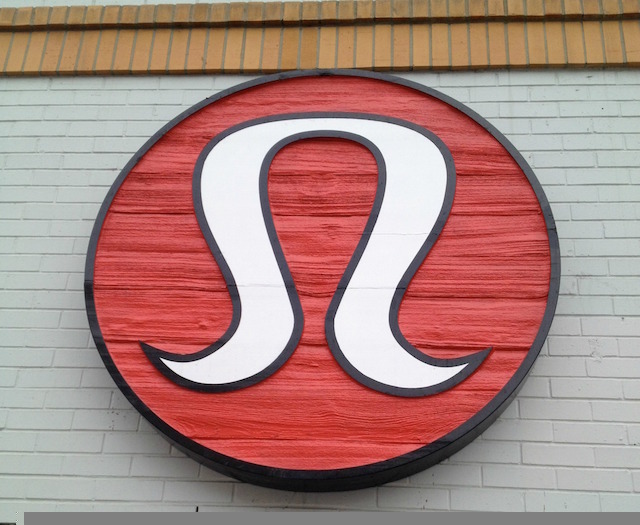 Testing: Okay, so if I wasn’t going to shop at Lululemon, where could I get my yoga clothes? I poured myself a mug of tea and pulled out the laptop. Ahhh, the power of Google. I started to search, “Yoga clothing made in Canada” and “Yoga clothing made in the USA.” Well, whaddaya know? There’s actually a lot out there. Acceptance: After the break up, I could see things more clearly. Although I had grown comfortable and secure with Lululemon, the truth was it never really was a good match. I realized the signs were there from the beginning. I never really jived with their message or values. There was also a lack of larger sizes, which always bothered me, as a girl gifted in the bootie. They really only had one style of pants I could wear. Truth be told, I was more punk rock than sporty anyway. In the long run, it was a good thing. Lulu and I were never really meant to be after all. I don’t know why I didn’t see it before. Once I broke up with Lululemon, I was free to try all kinds of cute, sustainable, sweatshop-free yoga threads. I now wear yoga clothing I can teach in guilt-free. I said goodbye to LuLulemon and never looked back. > Why I Don’t Hate Lululemon. > Yoga Doesn’t Care: A Disclaimer that should be Posted in every Studio. > 5 Things You Didn’t Know About Your Clothes. Chip Wilson’s (founder of lulu) wife started a company called Kit and Ace. Non of those clothes are made in Canada either. $98 for “technical cashmere” which is no more than 11% cashmere and the rest is synthetic and made in China. 3. Honestly, textile and apparel industries are way more developed in Asia than North America. Because the industries left NA decades ago but never left Asia. The machinery, technical skills and material innovation is much higher in general. US, Germany, and a few other countries have some very advance technical materials, but overall on a mass production scale, there's no comparison. "Made in China! As someone who is trying be socially responsible, I had been doing my best to avoid buying things made in China. The thought of some eight year old child in a sweatshop making my yoga clothes was breaking my heart." Published in Elephant Journal!! As someone who is trying to be an informed reader, I had been doing my best to avoid reading ignorant stereotypes. The thought of some writer who didn't bother to do her research before writing some prejudiced drivel that also slipped past an editor is breaking my heart. Nyk Danu, Creator of “Real Yoga For The Rest Of Us”, teaches Yoga and Meditation in person and virtually on the internet. 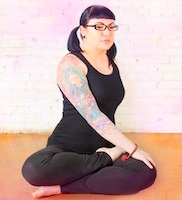 She is a self-professed Yoga geek, Buddhist, Activist, Tattoo lover and Green tea addict . You can find out more about Nyk and sign up for free Yoga videos on her website. Connect with Nyk on facebook, Twitter, Pinterest and Google +.